The pier vibrates in soft movements, like a wave in the direction of the horizon. Their floating, formal reduced form is built harmoniously by balancing linear stretching and wave movement. 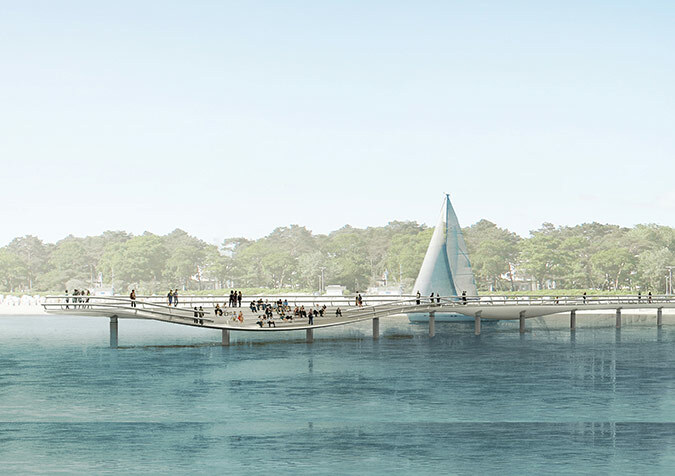 The spatial movement of the bridge’s structure is carried out in multiple dimensions: horizontally, soft swinging from left to right and vertically from the main path down almost to sea level. 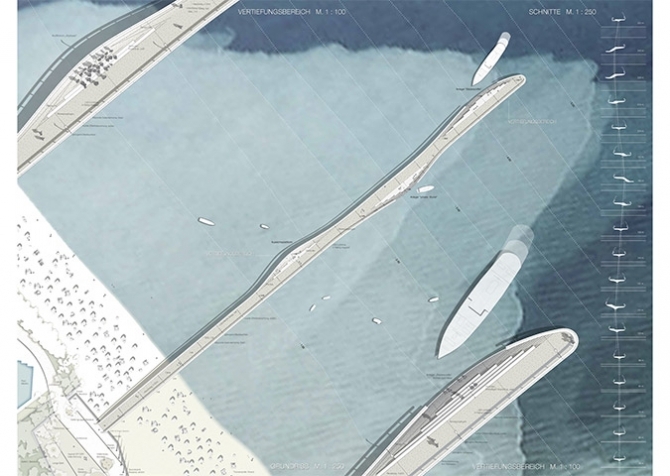 The idea of „striding into the sea" is merged with the idea of wharves and their desired features to a compact, classic-looking shape. The pier is a linear, one-storey building, without added side wings. All functional areas of the bridge are multi-functional. 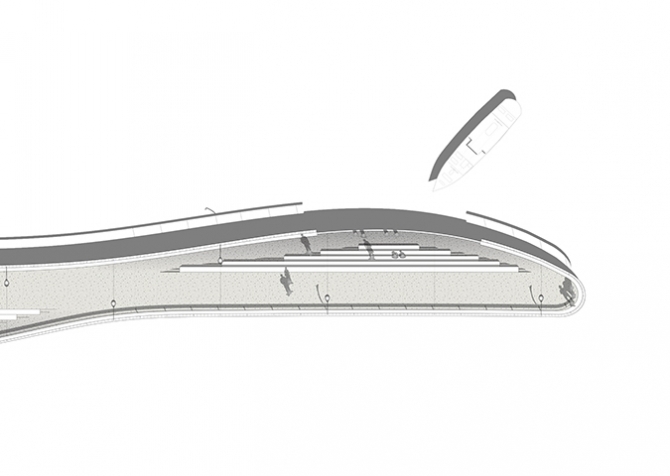 However each of the different uses overlap and complement each other: the lowered wharves for sailing and other boats also serve because of the seating steps as "a meeting place and a stage to the sea“. They offer a beautiful view over the bay and the horizon. In addition to its use as a meeting place, wharves and auditorium can also be used temporarily for events such as concerts, performances and activities. 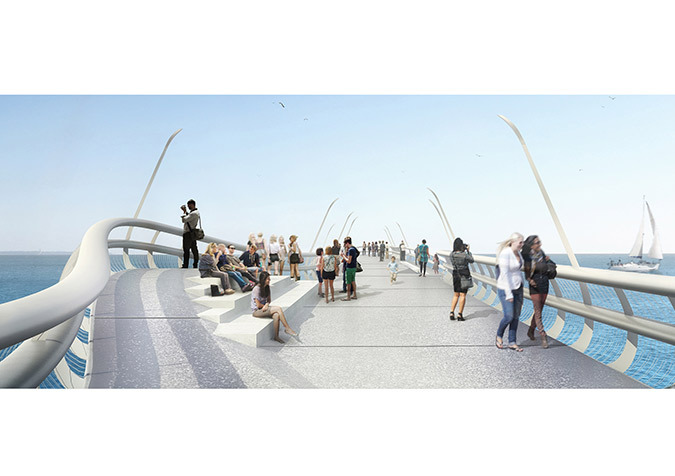 The whole pier is 100% wheelchair accessible, the historical staircase in the park will remain as a „backbone“ of the link between park and pier. 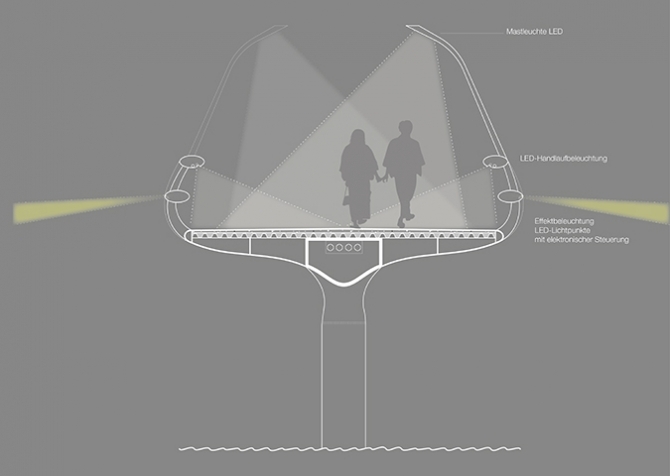 A new path which is also wheelchair accessible will be inserted between the staircase in the park and the pier.